Many of us get into using moulding planes through antiques. Most antique planes can be made to function to the same standard as new planes. Like old Stanley planes you may find at a garage sale, some antique wooden planes are better than others and all will need a varying amount of work before being put to wood. The wear angle of a plane is highlighted here. The wear angle is nearly parallel to the iron and is an example of a piece of technology in this type of tool. It allows for the plane's sole to be flattened without opening the mouth to any large degree. It also allows a more uniform, tight mouth opening over the width of a wide, deep profile. There are many things that can be incorrect about this facet. Sometimes the mouth can be damaged in use and the wear angle needs to be reestablished to rid the plane of the damage. If you've made your own planes or they were made by prison labor 100 years ago, then the geometry of the angle may be incorrect before taking the first successful shaving. Any one of these things will render the plane useless because the shaving will clog the mouth at the beginning of every intended pass. The best tool for removing any wood from the wear angle is a push cheek float. The clog above occurred within an inch of starting a cut. If I stop immediately and simply smooth out the the wavy surface then my plane will function appropriately. I smooth the wear angle with my 150 grit "float." If I tried to force the shaving to eject then I WILL damage the mouth by forcing a large amount of material into a small area, thus compressing the grain or chipping the mouth. I will then need to open the mouth because it is damaged, not because it is too tight. Another common mistake is to try to keep the wear angle parallel to the iron. Know that there is no such thing as parallel in woodworking just like there is no such thing as flat, only varying degrees of concavity and convexity. The wear angle is going to progressively open as the shaving travels up through the escapement or it is going to progressively close. The angle must open. Look at the mouth of any plane you are considering to purchase. The condition of the mouth can tell you how successful the last person to use it was. It can be indicative of how the plane will perform with a slight amount of work. Remember that there are several reasons a plane may clog. Addressing the mouth and the wear angle incorrectly will not fix the main problem and only add another. If you choose to pursue using antique planes then make a few for yourself. 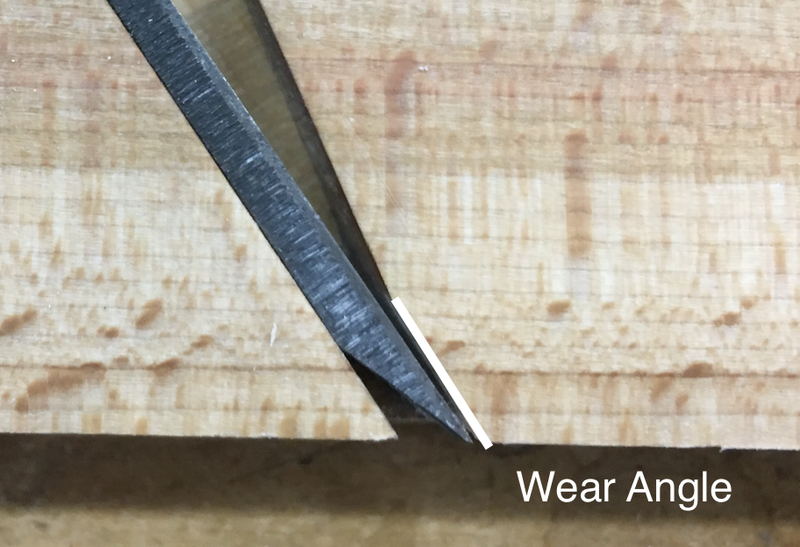 The first time you need to fit your wedge into your mortise you will know what a properly fitting wedge shall feel like. The first time you need to bed your iron to your plane body you will know how to bed an iron on an antique, which may be necessary. The first time you need to match your iron's profile to that of the plane, you will work to a new tolerance. Additionally, the first time you need to address the geometry of the mouth and wear angle then you will know how to fix it.